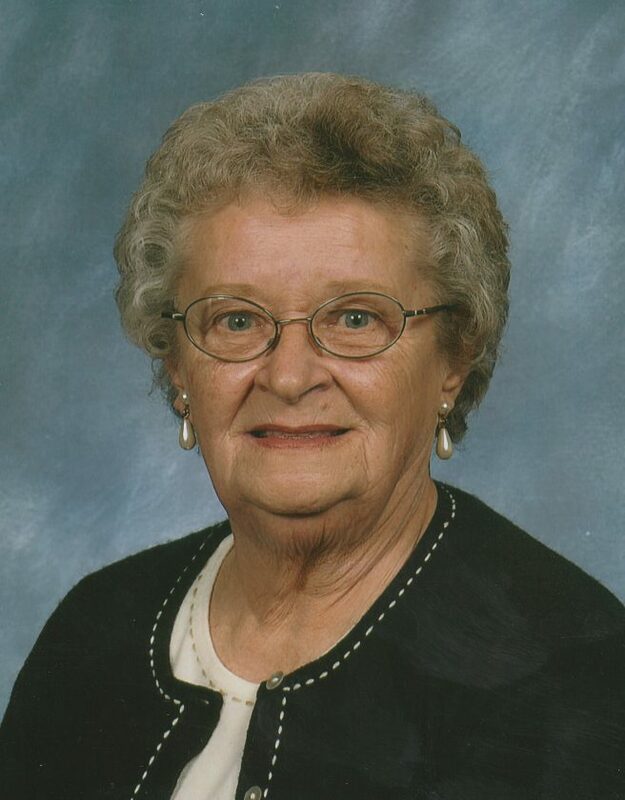 NEW ULM — Leora Mae Windschitl, age 91 of New Ulm died peacefully on Tuesday, February 5, 2019 at the Southview Living Center in Gibbon. Mass of Christian burial will be 10:30 am on Friday, February 8, 2019 at the Cathedral of the Holy Trinity in New Ulm. Father Garrett Ahlers will celebrate the Mass, and burial will follow in the New Ulm Catholic Cemetery in New Ulm. A luncheon will be served following the committal service. Visitation will be from 4:00 – 6:00 pm Thursday, February 7, 2019 at the Minnesota Valley Funeral Home – NORTH Chapel. Visitation will continue on Friday, February 8 from 9:00 – 10:00 am at the funeral home. Leora is survived by her daughter, Rosanne (Matt) Hoolihan of Grand Rapids; her sons, Wayne (Virginia) Windschitl of Farmington, Patrick (Joly) Windschitl of Dubuque, Iowa, Denis (Julie Dorneck) Windschitl of New Ulm, Leon Windschitl of New Ulm, Alan (Lynn) Windschitl of New Ulm; 10 grandchildren and 6 great-grandchildren. She was preceded in death by her parents; her husband, Raymond in 1987 and her son, Ronald Windschitl in 2018. Leora Mae Schaefer was born February 15, 1927 in Cottonwood Township-Brown County to Arthur and Rose (Palmer) Schaefer; the Palmer’s being one of the original founding families of New Ulm. 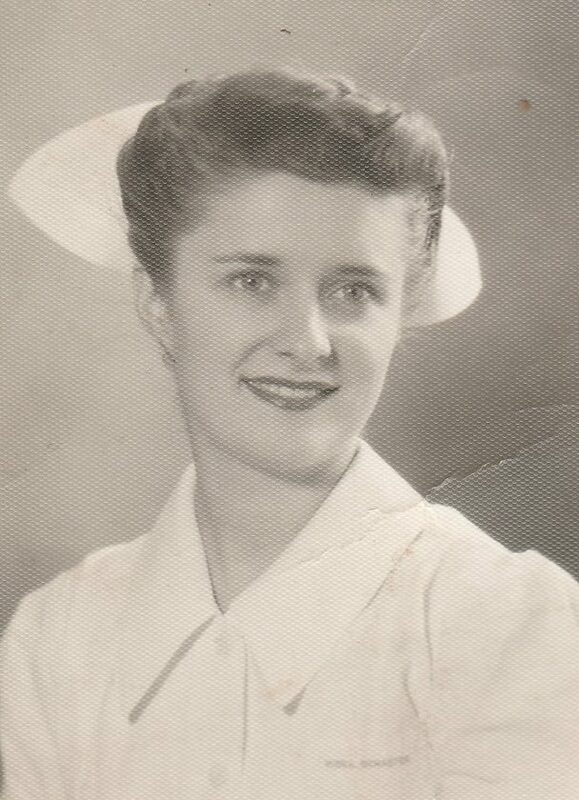 She was a 1945 graduate from New Ulm High School and following graduation attended school in St. Paul at St. Catherine’s University as part of the Nurse Cadet Corp. and attained her RN certification. As part of her nurse’s training she worked at St. Joseph’s Hospital in St. Paul, St. Peter Regional Treatment Center and Hines VA Hospital in Chicago. After Ray was discharged from the Navy, on June 2, 1949, Leora was united in marriage to Raymond Windschitl at the Cathedral of the Holy Trinity in New Ulm. This union blessed the couple with a daughter and six sons whom together they raised on their farm in Milford Township-Brown County. Once her children were raised, Leora went back into the nursing field working as a surgical nurse at the Loretto Hospital. She later worked as an RN Supervisor at the Highland Manor Nursing Home until her retirement at age 65. She enjoyed gardening, flowers, bird watching, and solitaire and was a masterful crocheter. She loved to spend time with her family especially her grandchildren and provided much doggie daycare for her beloved grand-doggies.